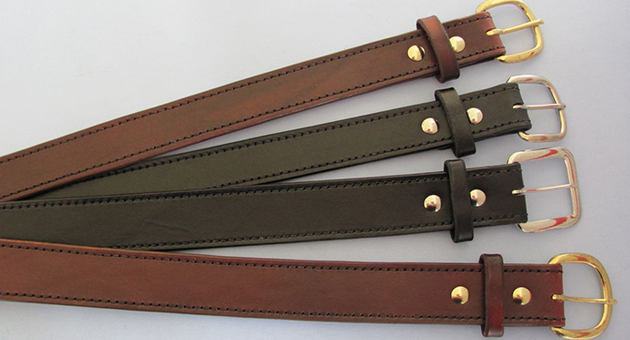 Bear Creek Holsters has belts in a variety of colors and styles. Bear Creek Holsters is proud to annouce our online store. Yes, you can purchase popular gun model holsters NOW without waiting for delivery time. Check back often as new items are being added weekly. Thank you for being a loyal customer of Bear Creek Holsters. 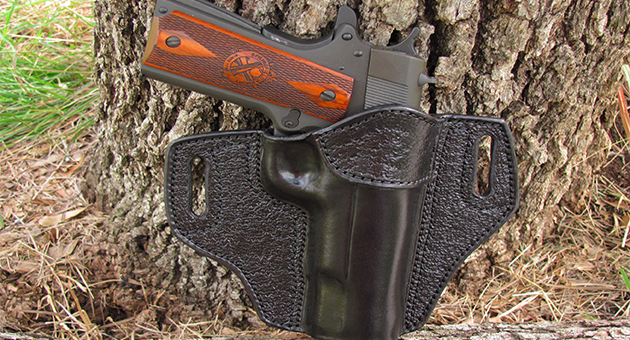 Bear Creek Holsters builds holsters one at a time. 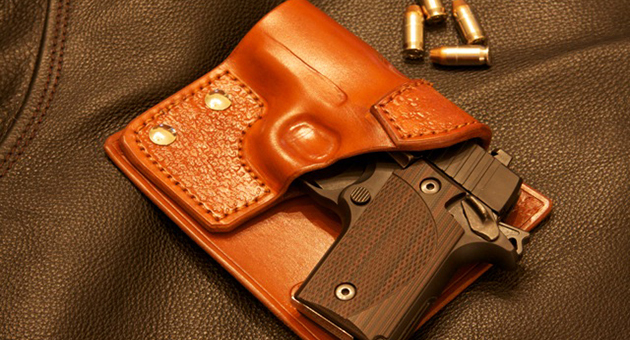 We assure that you will get a quality holster, if you are willing to wait to receive it. View our testimonials to see what our clients and the industry is saying, about us. 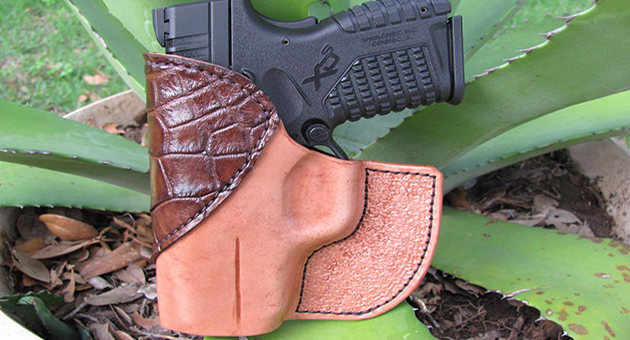 Bear Creek Front Pocket Holsters are excellent for conceal carry. They are designed to keep your firearm in an upright position in your front pocket. Can be used for primary or back up firearms. Many individuals like them because you can have your hand on your weapon while keeping it concealed in your pocket. You can use the thumb push off at the top of the holster or use the fingers below the grip to push on the tab portion of the holster. 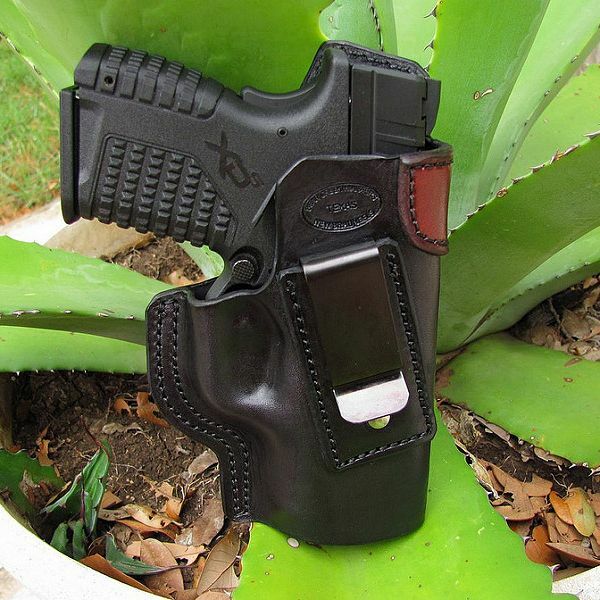 Either method allows you to remove the firearm from the holster as it is withdrawn from the pocket. The use of Bear Creek In Waist Band (IWB) Holsters as a method of conceal carry is an excellent option for many individuals. This is especially true for firearms that are too big for pocket carry. An IWB holster is held tighter to your body from the tightening of your belt. Most of the holsters we make can be made as an IWB holster. Many individuals that carry two firearms use an IWB holster for a primary firearm and a pocket holster as a back up or secondary firearm. 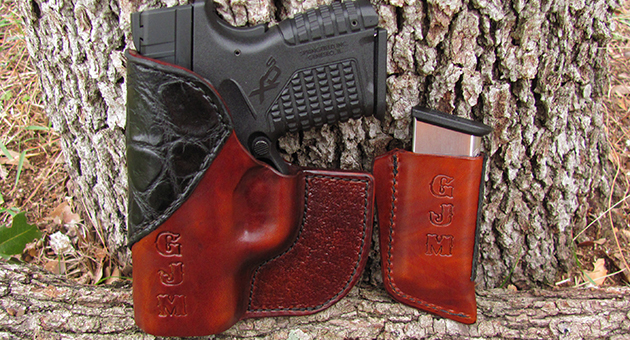 Bear Creek Back Pocket Holsters are sometimes called Wallet Holsters. Typically they are designed with a panel attached. Bear Creek Holster's back pocket holster the panel is hinged at the bottom. This allows you to easily reach between the panel and holstered firearm, for presentation of the firearm. You can safely keep your finger indexed along the side of the gun and not on the trigger until you need it. The panel covers the firearm and holster, and it all appears to look like a wallet in your pocket. Excellent means of concealment for smaller pocket pistols! 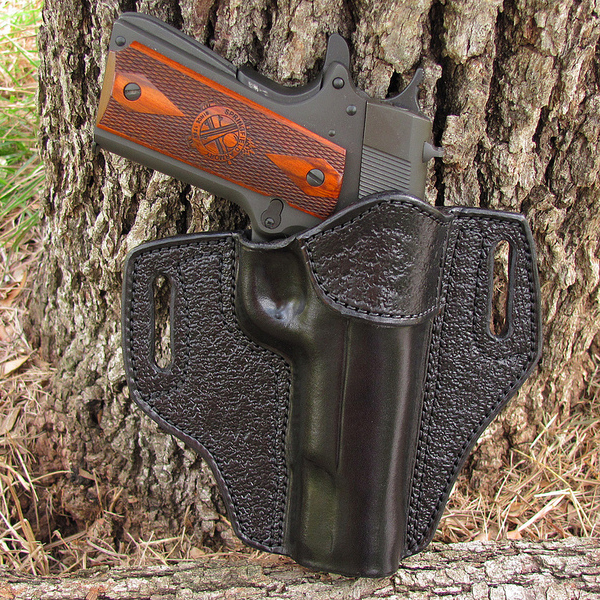 Bear Creek Outside Waist band (OWB) Holsters are considered by many as the most comfortable. Unfortunately, they are also considered by many as the hardest to conceal. In colder climates where jackets and coats are more prevalent, concealment is not as hard. In warmer climates where jackets and coats are rare or non-existent, it becomes harder to conceal. The use of a good thick belt helps support an IWB holster. Over 100+ Models of Gun Holsters available. 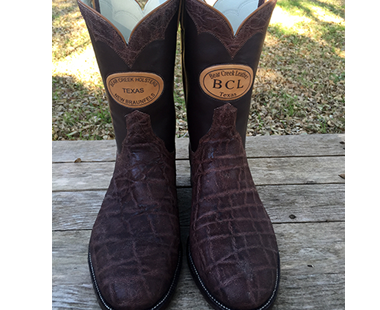 produced by Bear Creek Holsters, Texas Made. All Leather US Made purchaded from Hermann Oak Leather in St Louis, Mo. Bear Creek Holsters made in the USA from the great state of Texas. Horsehide is purchased from Horween in Chicago, IL. in business since. Find out more. Qualtiy and excellent customer service is what Bear Creek Holsters is known for plus craftsmanship, attention to detail, USA materials . The mailman delivered a package today and inside was a Bear Creek Holsters, lefty front pocket holster for my Seecamp. This holster a real beauty! I've been toting it around in the front pocket of my Levi's all day and I love it. My Seecamp fits snugly, but is easy enough to extract. The stitching is very neat and I like the stamping. Bear Creek Holsters did a nice job on this one. You'll be impressed. I like the way my Seecamp fits into it, not too tight or loose, and it's very secure. Received my Bear Creek IWB holster for the Ruger LC9 today, wow! Received my Bear Creek IWB holster for the Ruger LC9 today wow! You did a great job on this one. Just what I was looking for. 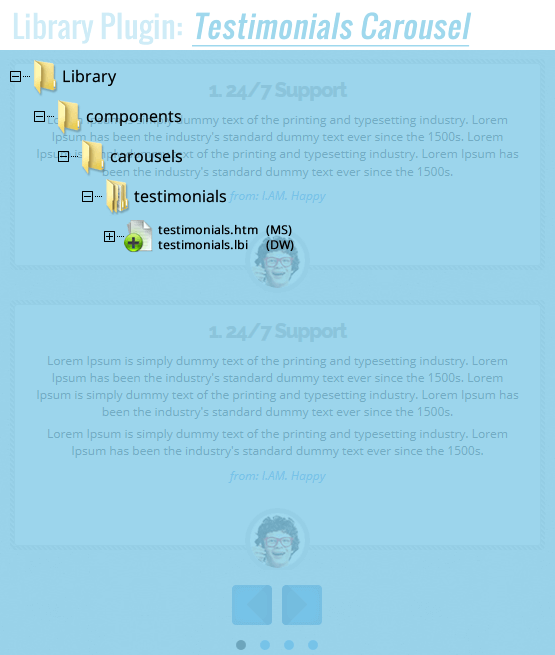 Great communication-shipping-product, what else can I say, Thanks! 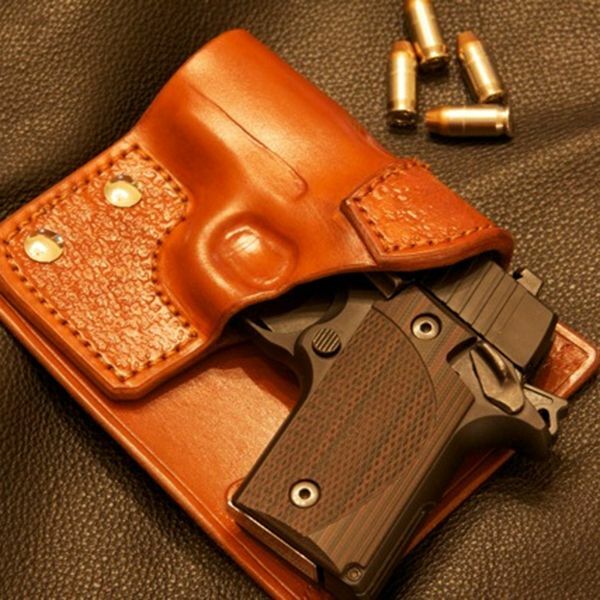 I have many products from Bear Creek Holsters, but my favorite has to be the back pocket model because of its comfort, value, and usefulness. I received the pocket holster for my J-frame with Crimson Trace laser grips yesterday. It fits perfect! Beautiful Job! Really fine craftsmanship. I have several pistols and many holsters. This is my favorite. Thanks again! 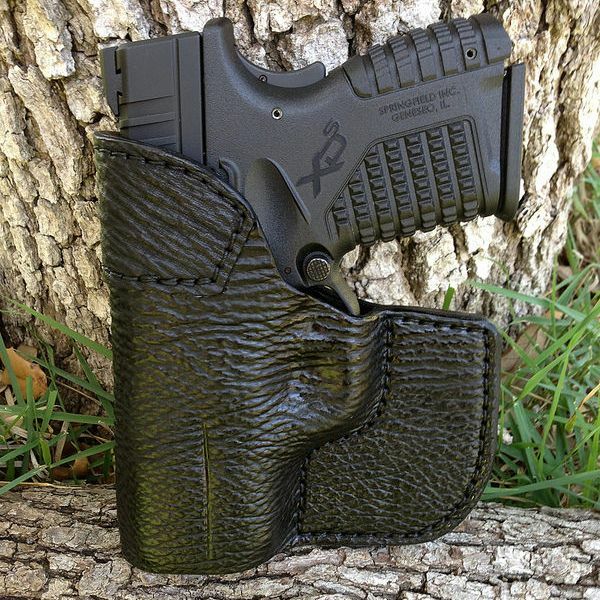 The back pocket holster I received for my Ruger LCP is great. It fits perfect and the quality of your workmanship is excellent. Thank you for the quick response to fill the order. Just wanted to drop you a line to let you know I have been using one of your wallet holsters for about 3 months now and it is by far one of the best holsters I have used. It is so comfortable I forget it is there and it is amazing how smooth it draws. Thanks for making such a great product. It’s a high-quality product at a reasonable price. The design is good; the holster holds its position well in the pocket, in both my shorts and trousers... and stays in place during the presentation. 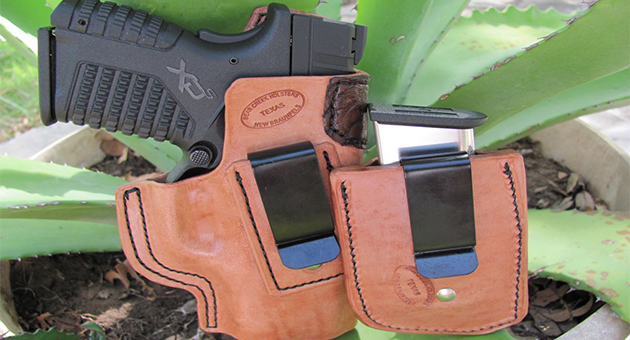 Bear Creek Holsters is excellent to deal with, and you can't beat the turn-around time. FWIW, I have been carrying professionally for 30 years. I wish I had a buck for every different holster, for various handguns, that I've tried... some good, some not so hot. This one is good. The holster and mag pouch for my LC9 came in today. They are beautiful, simple and functional. And they arrived days before I expected them! Thanks so much for talking me through the process of determining what would be best for my needs. Great product and great service. I received my .380 Ruger LCP holster (fitted for laser) yesterday and it is excellent. Exceeds my expectations; fits in the back pocket of my blue jeans perfectly; pulls out perfectly; nice, written instructions about breaking the holster in; I can easily carry in the front pocket or back with this holster. Love the leather quality, the design, and the finish on the leather. You delivered exactly as promised and my LCP is in my back pocket as I type this email now....very comfortable. Just got my Bear Creek front pocket holster with matching magazine case. My Kimber Solo CDP with Crimson Trace Laser, slide in and out perfectly without any adjustment. The Holster holds the pistol firmly in place even when help upside down and jolted. the fit is perfect and the cosmetics of the leather with alligator accents are unmatched in my opinion. I have several firearms and two or three holsters for each, the Bear Creek holster has just become my favorite. Thanks Doug for all your insight and help. By the way, the holster was here much faster than anticipated. Bear Creek is my go to from now on! I just received my belt and OWB holster for my 5" Kimber .45 EDC. Workmanship on the belt and holster is outstanding, and they look great too! I highly recommend Doug and Bear Creek Holsters, you won't be disappointed. I have purchased 2 holsters and recently purchased a belt. The workmanship and quality is excellent. It's a pleasure doing business with Doug. I received my front pocket concealment holster from Bear Creek Holsters and I can't recommend it enough. The fit and finish of the brown elephant skin is superb and a perfect match for my Seecamp LWS .32. Great customer service too! Thanks. I've been using the Concealed Caddy® in my truck for several months now. It is well made, looks good and is very functional. The Concealed Caddy® is just what I was looking for to conceal a pistol in my vehicle while maintaining quick access if needed.